Should you need special care to be taken of your expensive hard floor, consider the option of giving us a call to book our cost-effective, professional hard floor cleaning and polishing services, available in Wimbledon SW19. We are experts at what we do as becomes evident by the impeccable results we always deliver. 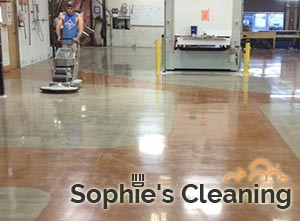 We’ve got everything it takes to restore the elegance of your hard floor – advanced machines, highly-skilled personnel and passion for our work. Our company has a wealth of experience in providing outstanding hard floor cleaning and polishing services to customers, residing in Wimbledon. It matters not whether your hard floor is made of tile, marble, concrete, vinyl or terracotta. We know how to handle any type of hard floor material. Moreover, each material requires applying a different cleaning approach, so we will begin with a short inspection to determine whether cleaning will suffice or polishing will also be required. Our goal is to form a long-lasting relationship with our customers, so we always draw a price in advance. If you find our pricing does not correspond to your budget, feel free to skip on the service. The technicians will use professional cleaning machines to quickly remove deeply ingrained grime from your floor. If our team has come across any indentations during the inspection, polishing and buffing might be required to remove those. Using a professional buffing machine, our technicians will smooth out all irregularities and imperfections from the surface. Depending on the material, they will suggest applying special sealants to protect the floor from absorbing moisture. For some materials like marble, this step is of utmost importance as they tend to absorb more moisture over time. Our team will also dispose of all dust, shed in the buffing process, leaving your floor as good as new. You are just one call away from restoring the elegant gloss of your floor. 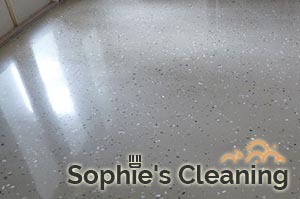 Contact us right away to request a free quote for our hard floor cleaning and polishing services in SW19 London!